At Sunflower Landscapes we dedicate ourselves to sculpting our natural environment into beautiful and meaningful spaces. We create landscapes that not only increase the value of your home but, give you and your guests an unprecedented experience. 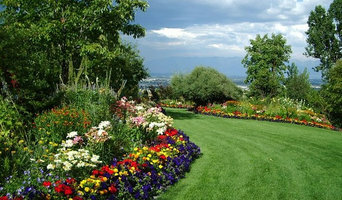 Sunflower Landscapes specializes in the design of creative, custom, and functional landscapes. A crucial step in creating these landscapes lies in us having the ability to understand exactly what the customer desires and or needs. During our initial walk through, we take extra time to get to know the customer and their project. We are then able to blend our knowledge and experience into a thorough and creative design. Our designs are based on our customers’ needs and their expectations. We specialize in custom landscape designs, from hardscape to softscapes, with customers satisfaction being our goal. The design of your landscape is as important to us as it is to you. 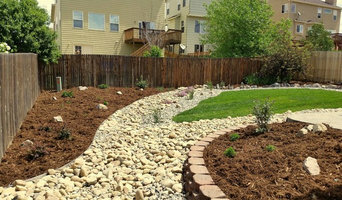 Serving Colorado Springs and surrounding areas, we are a family owned and operated business with over 35 years of landscaping experience. We can handle all of your landscaping needs. Our business standards of conduct are upheld by three pillars: -Quality of Work -Truth in Service -Value We would cherish the opportunity to work with you on your dream yard! Please take a few moments to look through our picture gallery. When you are ready to schedule an estimate, or if you would like to learn more, fill out the contact form or simply give us a call. We look forward to hearing from you! Great Work and Great Prices Keep Happy Customers We are one of the best in the business offering expert tree trimming and professional landscaping services. We strive to provide excellence in quality, reliability and trust. Thanks for visiting, and we welcome your calls. We provide FREE ESTIMATES and specialize in same day completions. For professional landscape design, consultation and installation, more local homeowners are choosing Hiner Landscapes over any other landscape design/build firm period. We are the only firm that works laterally with our clients every step of the way to ensure their landscaping needs are met while upholding our high standards of professionalism and excellence. When you need a dedicated team of landscapers that care about your needs and the needs of your outdoor space, trust Hiner Landscapes to show you what we can do for you today. Our knowledgeable staff is standing by to serve your needs today. 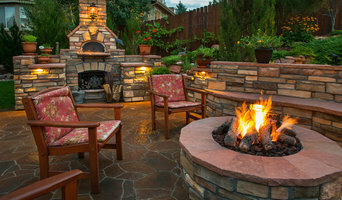 Four Elements Landscape & Outdoor Living is the leader In Outdoor Living Space and specializes in residential and commercial landscaping. We have been serving the Denver metro and surrounding areas for over 30 years. Our business’ foundation is based on innovativeness and quality workmanship by reflecting the elements of nature through all aspects of landscaping. We understand the value in providing excellent customer service and satisfaction. Vision and Planning are by far the most important dimensions of a residential landscape. At Above and Beyond Landscaping, we have over 30 plus years experience in landscape installation and service. We not only have one on one time with each and every client, we respect the ideas and opinions in each different instance. We understand that a landscape is a big step to a lifetime dream and to fulfill it takes the right planning and design to move forward. Satisfaction and quality is what we brand our name on. We want to optimize your ideas and property to the fullest of our abilities and watch as you enjoy each and every step towards a beautiful creation. A landscape not only brings you enjoyment for years to come, it adds property value and appeal. Whether its large or small we do them all. Please feel free to contact us regarding outdoor walkways, patios, flagstone, retaining walls, artificial grass, water features, outdoor LED lighting, fire pits (wood or natural gas), rock, sod, mulch and rubber mulch. Also, we have an experienced Horticulturist will help create your beautiful yard. Our team leads and foreman stay on one job from the start to finish to be sure you get the best value and optimization of our knowledge and crew management. Since 2004, we have led the industry in custom, high-quality design and installation of exquisite landscapes and outdoor living spaces for residential and commercial clients in the Denver-metro area. Our niche in the industry is that we can usually build your design with real stone for less than what other companies charge to use man-made materials such as concrete (stamp & dyed), cement block & veneer or pavers. However, we can and do, build with all of these alternative materials per your project's requirements. We are a design and installation company. Because our installation professionals include a dozen+ stone masons, each having at least a decade's experience, and all of our designers and illustrators are in-house, we have the flexibility to ensure that no project exceeds the scope of our abilities and at each project completion, you will be exceedingly happy. We always cater to our clients' needs. Are you allergic to bees? Are you allergic to certain trees? We have you covered. Does your home back to a steep hill? Is your neighbor's irrigation running onto your property? We will make sure the water flows correctly off of your property. We love bare dirt!! We can walk onto a bare lot and see its problem areas, but we can also see the beautiful end result of your outdoor living space. We have seen our creative designs enhance the appearance of countless homes, improve the functionality of outdoor areas, increase property values and provide more enjoyment of our client's time spent outside. Whether using your design or ours, the goal of each installation is to walk away with a lifelong friend once the job is completed. If you have just closed on a new home, or want to retro-fit an existing landscape and turn it into an outdoor living space, contact us today for your complimentary consultation and design. Discover why our clients continually recommend us to their family and friends. Timberline Landscaping offers a full range of services for residential and commercial clients– landscape design, construction, and maintenance, annual flowers, sprinkler installation and repair, and holiday lighting. Our team has been creating and maintaining award-winning landscapes since 1982. It can be as simple as planting a tree to provide a bit of shade on a hot summer day. 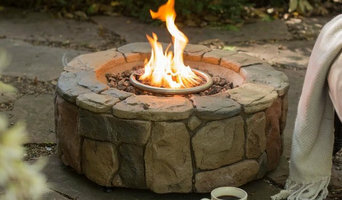 Or building the dream backyard where your family can relax around the fire pit in the autumn. Whatever YOUR little bit of heaven looks like, Timberline is here to help you create it. So relax and enjoy the great outdoors, you deserve it. Jake's Designs in an award winning landscape architecture design/build firm oriented toward residential landscaping. Founded in 2000, Jake's Designs has been serving the greater Colorado Springs area since. We are a 25 person firm that can install every element our designers can think up. All of our designers have earned college degrees in the realm of landscape design and are capable of producing scaled drawings for your project. We can take your project from conceptual all the way to implementation under one roof! 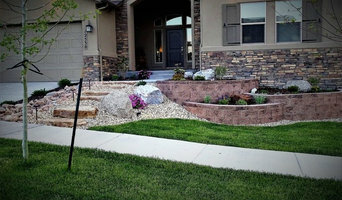 Established in 2004, Landscape FX has quickly established itself as one of the top landscape design and installation firms in southern Colorado. When you hire Landscape FX, you are hiring uncompromising quality, personalized attention, professionalism and peace of mind. Through our unique design process, innovative ideas and trendsetting landscapes, Landscape FX will ensure your dream becomes a reality.